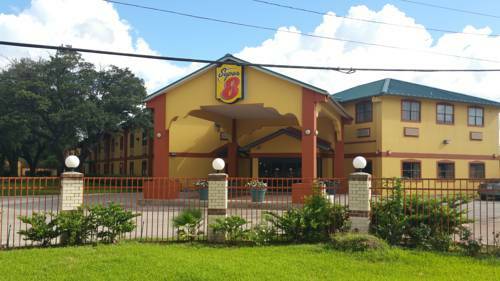 Visit the smoke-free Super 8 Houston Hobby Airport North hotel, with shuttle service to nearby William P. Hobby Airport, and close to a number of area restaurants. Attractions are Downtown Houston, Toyota Center, Minute Maid Park, NRG Stadium, George R Brown Convention Center, The Galleria, Downtown Aquarium, Space Center Houston, Rice University and University of Houston. Amenities include complimentary continental breakfast, 1 meeting room, gym and rooms with microwave, mini fridge, HDTV and complimentary wireless internet. Businesses are Wilson Air Center, Powell Industries, MCM Pump Manufacturing and Pacific Communications International. Sorry, no pets.